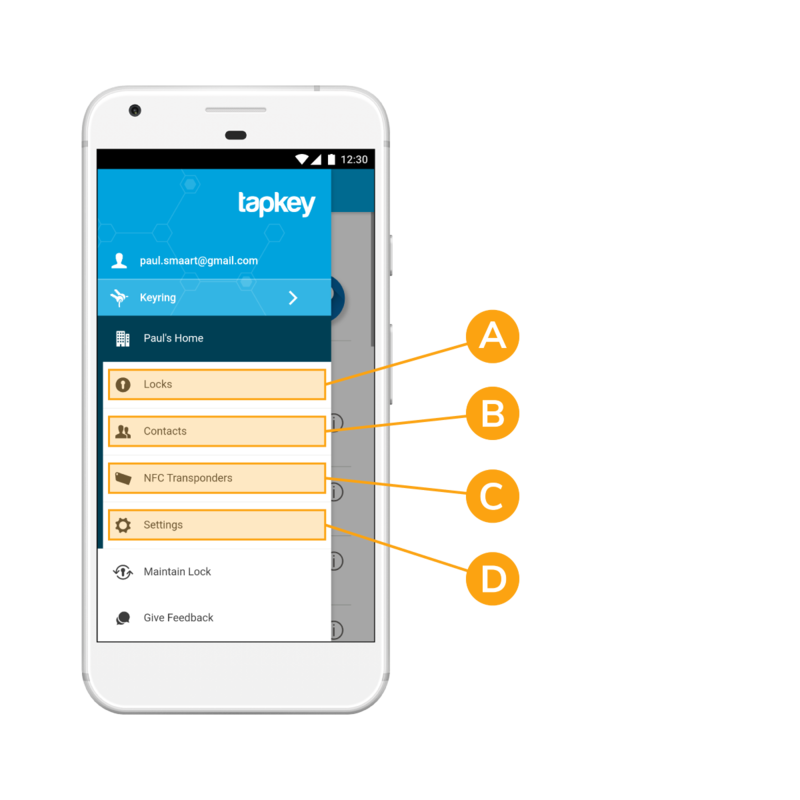 The Tapkey App can be downloaded for free. 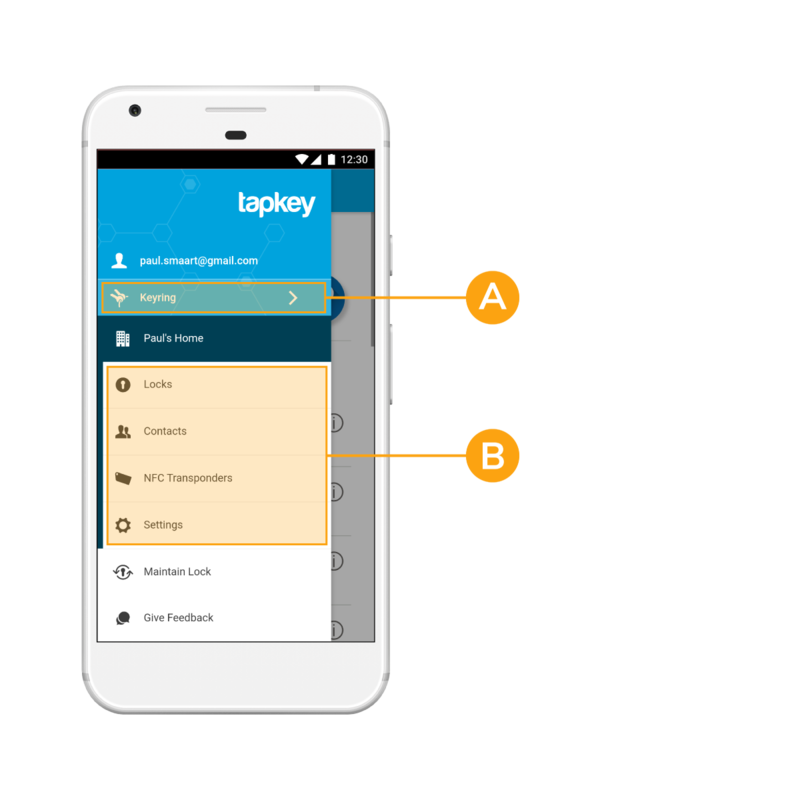 With the Tapkey App you can assign Smartphone Keys and keep track of all access permissions. Who can use the Tapkey App? It can be used by a private person to unlock doors (A), but also by lock owners who want to manage access (B). What can I manage in the Tapkey App? A.) Locks: View and manage your own locks. B.) Contacts: Manage people who you granted access for your locks. C.) NFC Transponders: Manage NFC Cards, NFC Stickers or NFC Tags that you issued. D.) Settings: You can check your account status and your admins here.